Daily Current Affairs (July 27, 2018) like many other sections is inevitable and this also helps to score in the Banking awareness , Static GK and Financial Awareness sections. Remember, Banking Awareness and Static Awareness Questions are asked from the General Awareness section. This will also help you to ride your preparations for the forthcoming exams. 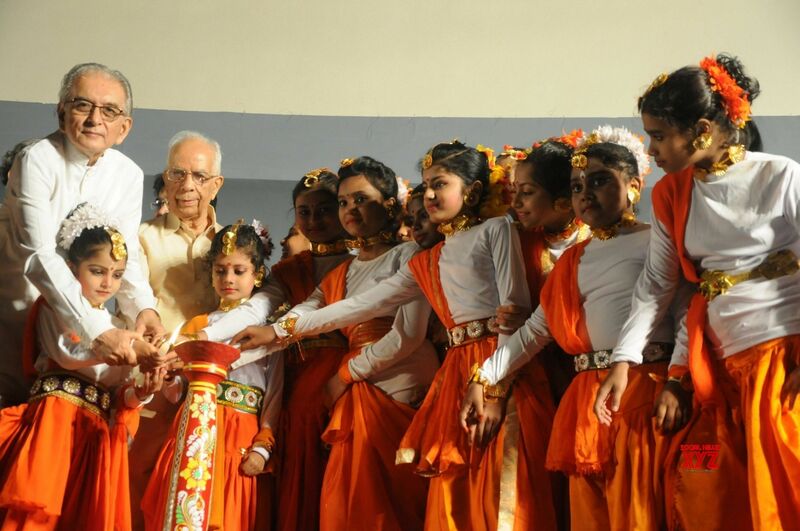 The West Bengal Governor K N Tripathi has inaugurated the 18th International Children’s Film Festival in which 36 films from 17 countries would be screened. The festival was being organised by Cine Central, one of the oldest cine clubs of the country in collaboration with the UNICEF. Thirty-six films from 17 countries would be screened in the festival. Killa film has been chosen as the inaugural film for this year’s festival and Pappu ki Pugdandi has been chosen as the closing film of the festival. The NITI Aayog’s Atal Innovation Mission and MyGov platform jointly launched the ‘#InnovateIndia Platform’, collaboration between both the platforms. It was launched by R Ramanan, Mission Director of Atal Innovation Mission and Arvind Gupta, CEO of MyGov. The #InnovateIndia platform is open to all Indian citizens. 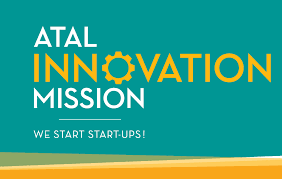 Atal Innovation Mission (AIM) is Union Government’s flagship initiative to promote a culture of innovation and entrepreneurship in the country. MyGov is a web platform that was created to facilitate citizen engagement in good governance. 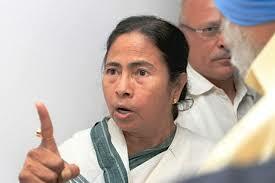 The West Bengal assembly has passed a resolution to change the name of the State. The state assembly passed the bill to change the state’s name from West Bengal to ‘Bangla’ in all three different languages. The state government will now forward the proposal to the Centre. The state government first proposed the renaming in 2016. The name of the state’s capital, which served as British India’s seat of power until 1911, was changed from Calcutta to Kolkata in January 2001. The government has extended the deadline for filing income tax return for assessment year 2018-19. The deadline of July 31, 2018 has been extended by a month. 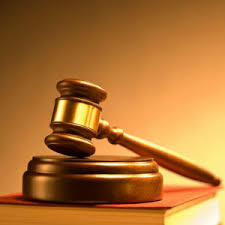 It was announced by the Ministry of Finance. The assessees can file their income tax return (ITR) for financial year 2017-18 by August 31 without any penalty charges. 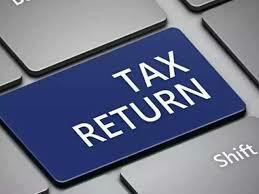 Filing the income tax return after the new deadline of August 31 will attract a penalty of up to Rs. 10,000 as per existing rules. India and the United Kingdom will enhance their partnership in the area of research and innovation. 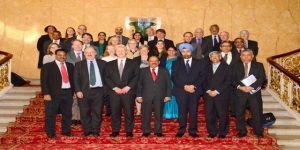 It was attended by Science and Technology and Environment Minister Dr Harsh Vardhan and his UK counterpart Sam Gyimah. 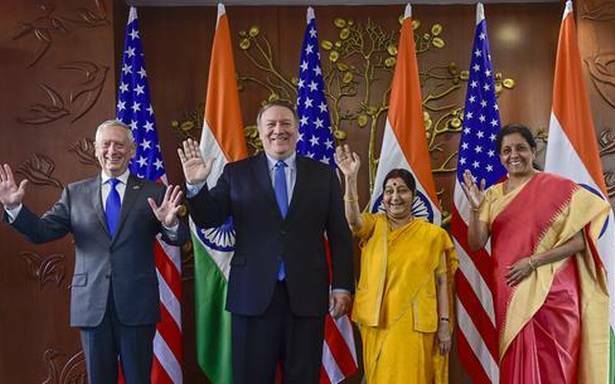 This was agreed to at the delegation level meeting of 6th India-Science and Innovation Council in New Delhi. The Minister Harsh Vardhan also launched for collaboration between Council of Scientific & Industrial Research, CSIR, and its UK equivalent to expand cooperation. The world’s first-ever Warner Bros. branded indoor theme park has been inaugurated in Abu Dhabi. The official inauguration ceremony took place in the Warner Bros Plaza at Warner Bros World Abu Dhabi. The Warner Bros. has teamed up with Miral Asset Management to build the theme park in Abu Dhabi. 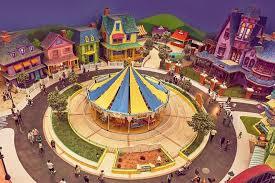 The indoor amusement park is spread over more than 1.65 million square feet and has 29 rides. The Oxigen and Fincare Small Finance Bank has signed an agreement to roll out the Branchless Banking services, using Oxigen’s flagship Point of Sale device called the Oxigen Micro ATM Super PoS. The event was graced by Brand Ambassador Grand Master Viswanathan Anand. 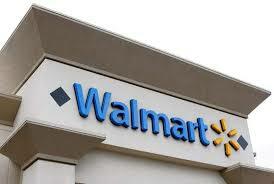 The Walmart Foundation has granted USD 2 million fund to a two-year agriculture project that would help over 6,000 farmers in Andhra Pradesh in getting better market access. Over 6,000 farmers in the state will move to an improved business model for better value chains and incomes through an intensive two-year project. In the next two years, ICRISAT will work in the state’s dryland farming areas with 6,100 smallholder farmers, 2,000 of whom are women. 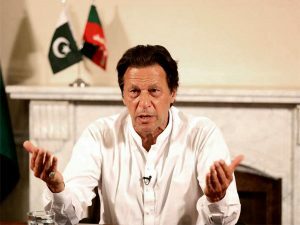 Pakistan’s cricket legend Imran Khan has declared victory in a divisive general election. He announced that he was ready to lead the nuclear-armed country. The Cochin International Airport Ltd (CIAL) has bagged the ‘Champion of Earth Prize -2018’, the highest environmental honour instituted by the United Nations (UN). 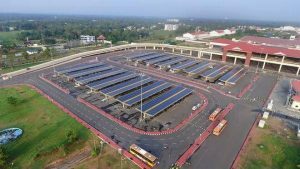 CIAL has been selected for the award for its successful execution of one of the revolutionary ideas of using solar energy, which made CIAL the world’s first fully solar-powered airport. In order to ensure optimum land utilisation, CIAL has successfully implemented organic farming of vegetables in the area between solar panels. 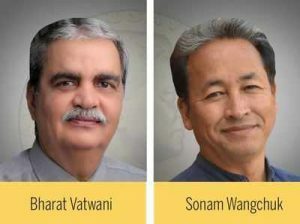 Two Indians, Bharat Vatwani and Sonam Wangchuk, are among six who have been declared winners of this year’s Ramon Magsaysay Award, often referred to as the Asian version of the Nobel Prize. The Magsaysay Award winners will each receive a certificate, a medallion bearing the image of the late Filipino leader Ramon Magsaysay, and a cash prize. The Canadian author Michael Ondaatje has again made the Man Booker Prize list with his latest novel “Warlight”. 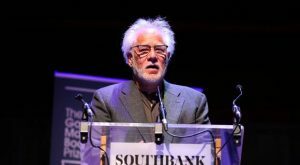 Recently, his book “The English Patient” was named the best work of fiction from the last five decades of the literary prize. Ondaatje’s “The English Patient,” which won the Booker in 1992. 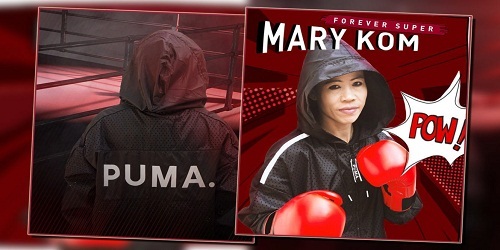 It was also named winner of the Golden Man Booker winner in 2018. The “Warlight” tells the story of two orphans in London in the immediate aftermath of World War II. The list includes four debut novels and one from American novelist Rachel Kushner.The winner receives 50,000 pounds ($65,000). 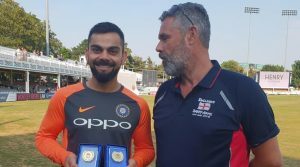 India captain Virat Kohli was presented with the International Player of the Year award for 2017-2018 by England’s Barmy Army. 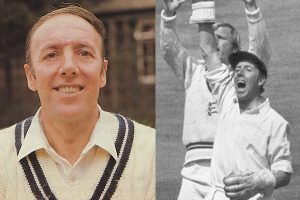 Barmy Army is a popular fan club of English cricket supporters. 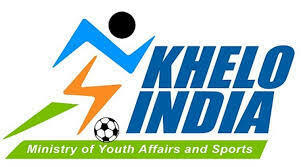 It was held after the conclusion of the first day of India’s tour match against Essex. The The Veteran sports journalist Swapan Sarkar has passed away. Sarkar had worked for a number of dailies and was also the Delhi sports correspondent of Ananda Bazaar Patrika (ABP) from mid 1990’s. 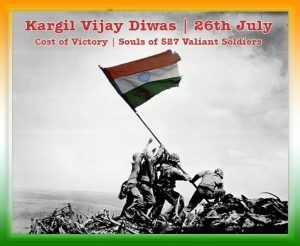 The Kargil Vijay Diwas was observed on 26th July every year. India has paid homage to the jawans who sacrificed their lives in the 1999 Kargil war against Pakistan. Prime Minister Narendra Modi hailed former PM Atal Bihari Vajpayee’s leadership for his support to the armed forces during ‘Operation Vijay’.